These really are the BEST Paleo Brownies. They are full of flavor, yet without the refined sugar and wheat in traditional brownie mixes. Mmmm. Brownies… They taste so yummy. Just the perfect combination of chewy, sweet and moist. Now I admit I’m not a huge chocolate fan. Yes, I know it’s crazy. But I do like brownies. It’s the chewy, layered texture that I love. Yet, since giving up gluten and refined sugar it’s been tough to find the right recipe that delivers that delicious chewy bite. Well, it WAS tough. That is until I was introduced to the Mediterranean Paleo Cooking cookbook by Caitlin Weeks (Grass-fed Girl), Chef Nabil Boumrar, and Diane Sanfilippo (Balanced Bites). And wow! This cookbook is amazing. It’s filled with 150+ Paleo recipes inspired by the Mediterranean region. 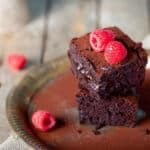 So What Makes This Paleo Brownie Recipe Special? It’s the dried figs. They add just another layer of sweet and chewy to this already amazing brownie recipe. And I even tried it without the figs – and still YUM! My kids gobbled it up and begged for more. And I love that they’re not getting refined sugar or preservatives from store-bought brownie mixes. 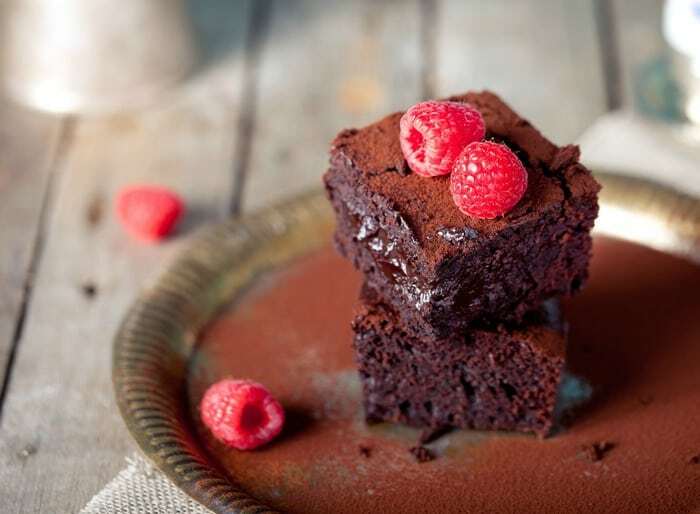 Did you try these Chocolate Paleo Brownies? Don’t forget to rate the recipe and comment below to let me know how it went. You can also FOLLOW ME on Facebook, Instagram and Pinterest to see what other fun things I’m getting up to. Preheat the oven to 350°F. Grease a 9-inch-square glass or ceramic baking dish. In a medium bowl, whisk together the melted fat, vanilla, eggs, honey, and lemon juice until well combined. In a small bowl, mix the almond flour, cocoa, and baking soda. Add the dry mixture to the wet and stir until well combined. Stir in the figs and pour the mixture into the prepared baking dish. Bake for 30 minutes, or until a knife inserted in the center comes out clean. Remove from the oven and cool in the baking dish for 30 minutes. Dust with a little cocoa powder on top (optional). Cut into squares before serving. These modifications are noted on EVERY recipe in the Mediterranean Paleo Cooking cookbook. Low FODMAP: Cashew meal in place of the almond flour. Use 2 tsp stevia extract powder in place of the honey. Use 1 cup canned pumpkin in place of the figs. Lower carb: Use 2 tsp stevia extract powder in place of the honey. Use 1 cup canned pumpkin in place of the figs. Reduce the almond flour by 1/2 cup. Check out the Mediterranean Paleo Cooking cookbook! It’s filled with 150+ fresh coastal recipes for a relaxed gluten-free lifestyle. And one of the most impressive parts of the book is that it offers recipe medications for those on special diets, including nut free, egg free, low FODMAP, AIP-friendly, SCD/GAPS or want lower carb. Both Caitlin and Diane are certified nutrition consultants specializing in holistic health. Algerian-born Chef Nabil is a professional chef at a 5-star international hotel in San Francisco. 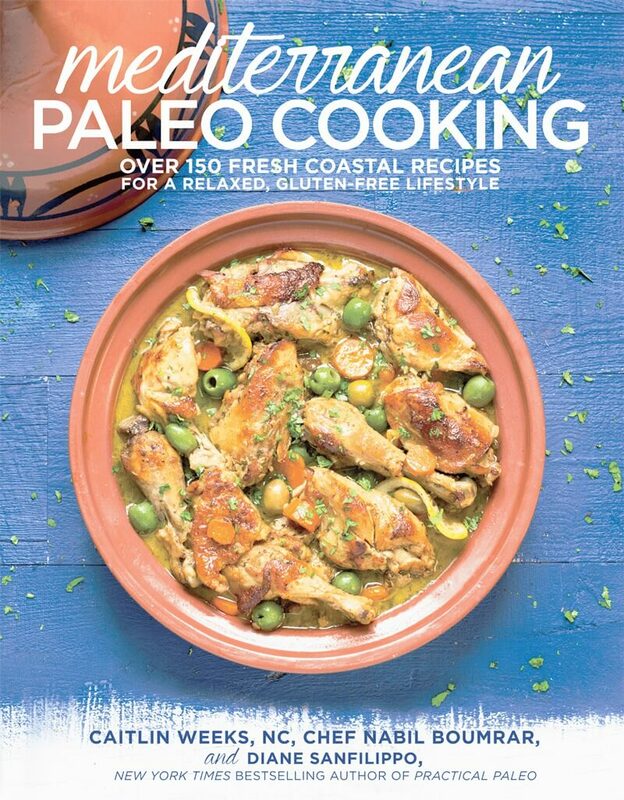 And when you start thumbing through Mediterranean Paleo Cooking, you’ll see traditional Mediterranean dishes from Chef Nabil’s home kitchen – such as Chicken and Olive Tangine, Cinnamon Beef Tangine, Moussaka (made Paleo style), Zesty Crab Cakes and much more. Chef Nabil even pays homage to dishes inspired by his own sisters and mother. I’m most impressed at the breadth of recipes in Mediterranean Paleo Cooking – there’s everything from breakfast, lunch, dinner, desserts, appetizers, soups and salads, Mediterranean basics, much more. I mean there are 5 (yes, FIVE) Paleo pizza crust recipes and a whole section dedicated to pizza, pasta and sauces. Yum! And the dessert section definitely caught my eye. 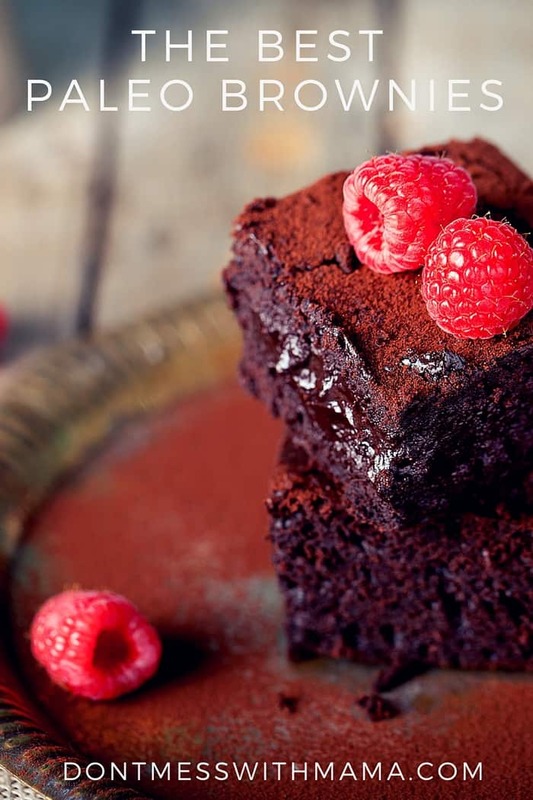 In addition to the Paleo Fig Brownies, there are a number of delicious recipes made without gluten or grains, including Lemon Pound Cake, Pistachio and Chocolate Biscotti, Flourless Chocolate Cake, Chocolate-Kissed Coconut Macaroons and Madeleines. Yep, MADELINES. Oh how I’ve missed them and now I’m enjoying them again with this cookbook. Aside from 150+ delicious recipes, Mediterranean Paleo Cooking cookbook includes sample menus, meal planning guides, tips on how to stock a Mediterranean Paleo kitchen and recipe allergen index. I can’t wait to make these, so delicious!